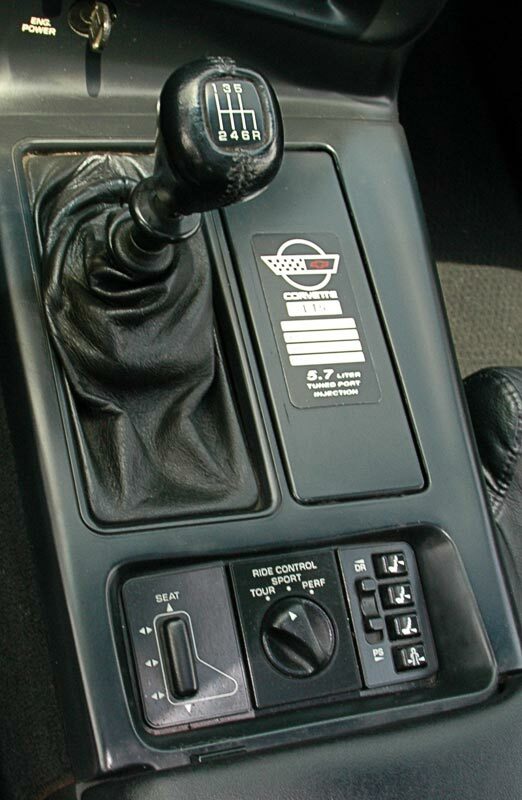 Left: The six speed manual was the only transmission available on a ZR-1. It was similar to what was available on the L98 'vettes with a few detail upgrades. An automatic transmission was not available. 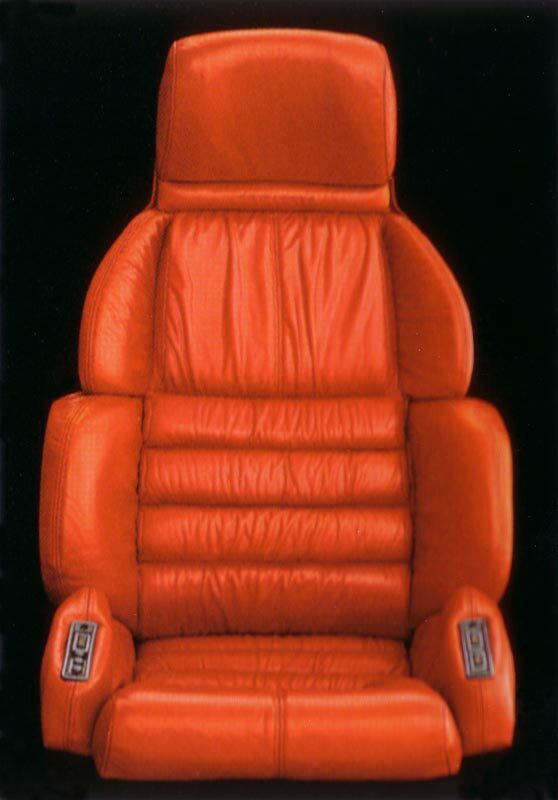 Center: The ZR-1 seat, which was the same as the sports seat with extra pleats. Right: All 1990 Corvettes featured exposed wheel lug nuts. 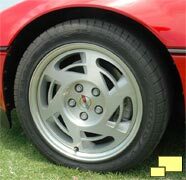 Some of the photos (at the top of the page, for example) show ZR-1s with covered wheel lug nuts. 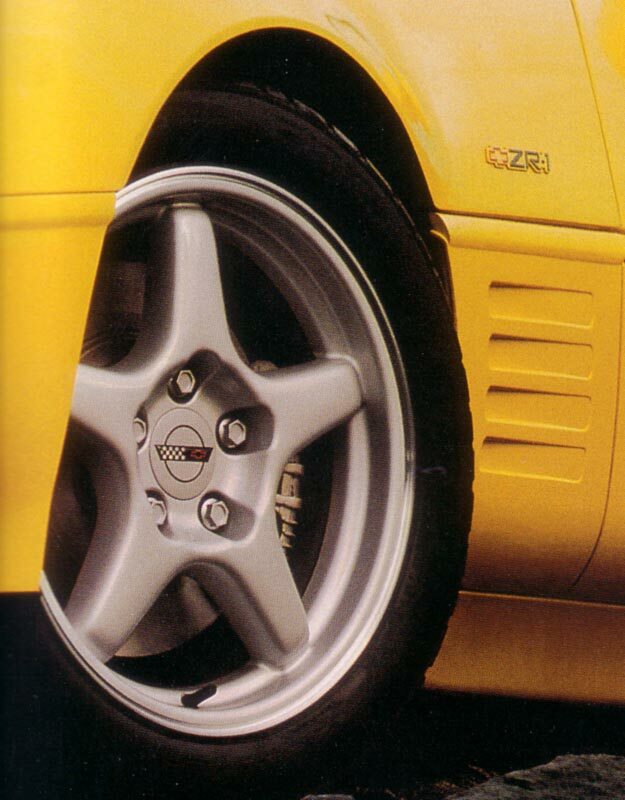 These are 1989 ZR-1s which were featured in the early press release and also the 1990 ZR-1 brochure. 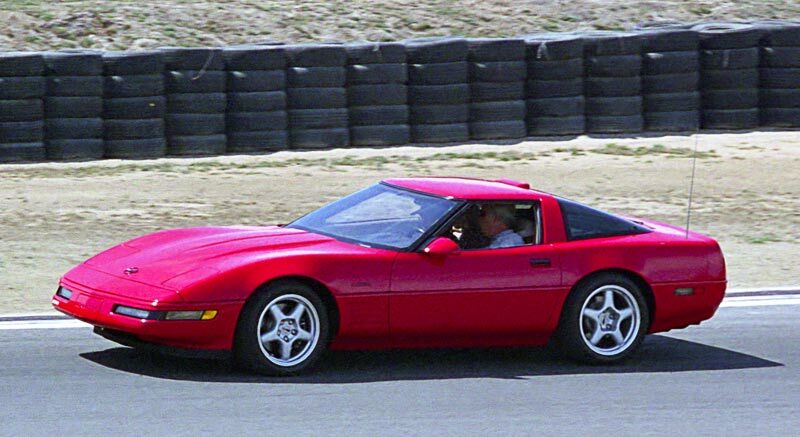 No 1989 ZR-1s were sold to the public during the ZR-1 production, although several did find their way into private hands in later years. 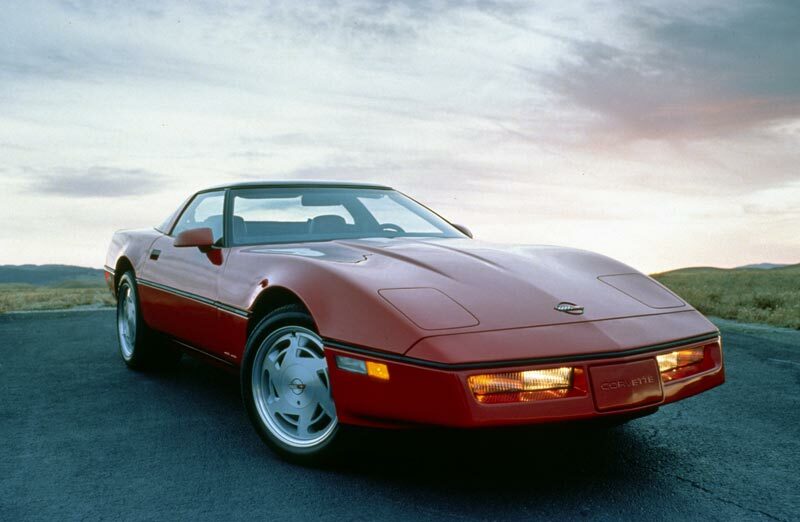 The initial press release from Chevrolet promised a ZR-1 for the 1989 model year, but production delays caused it to be released as a 1990. 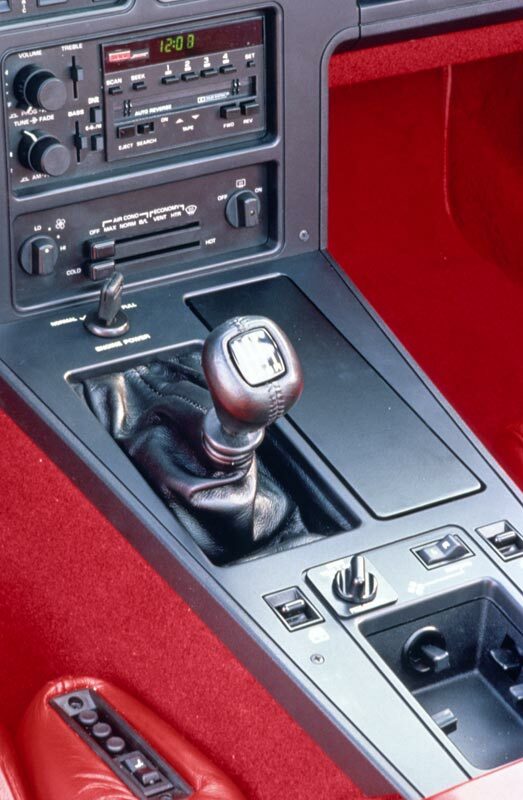 Left: a press release photo of the shifter area clearly shows a 1989 interior. 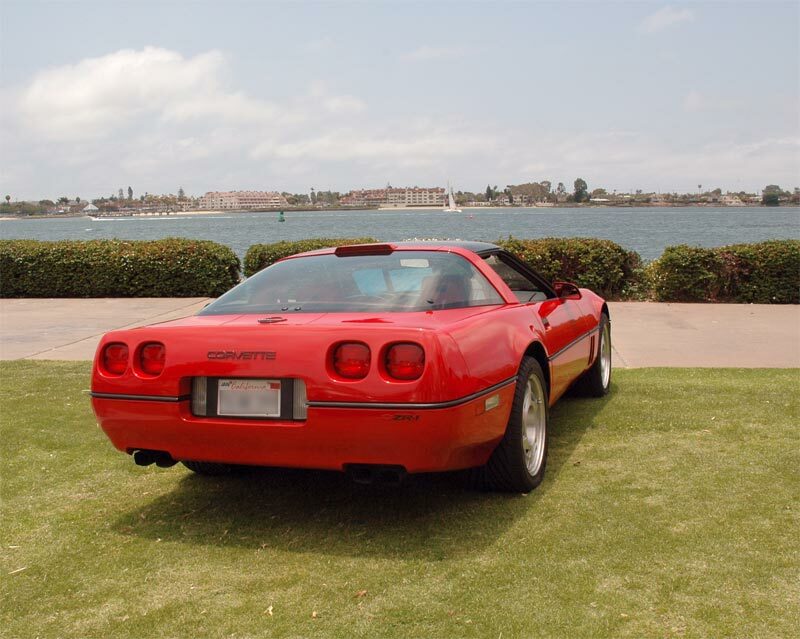 Right: the same view of a 1990 production ZR-1. 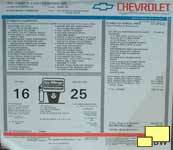 Right: A typical 1990 ZR-1 window sticker. 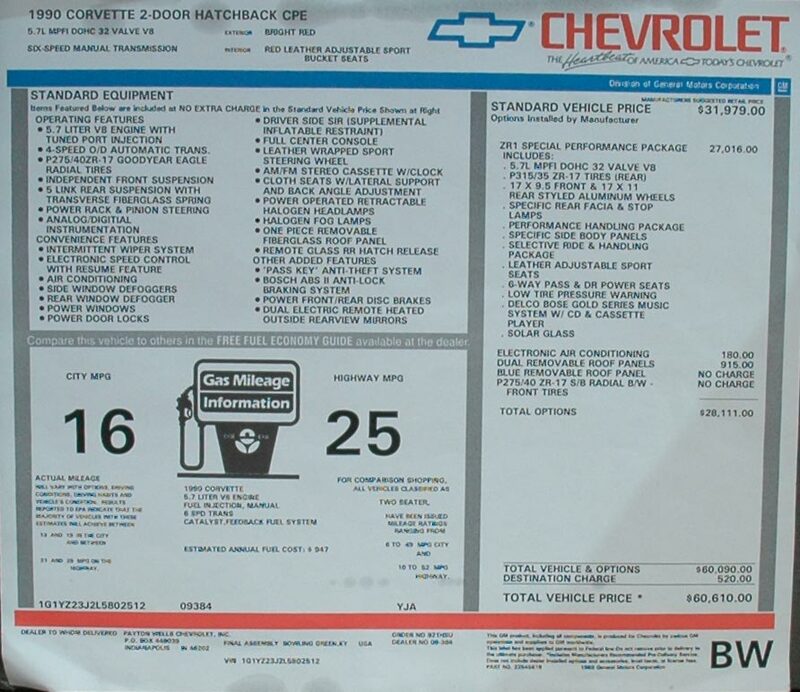 Note the price for the ZR-1 option alone was $27,016.00, far more than any other option GM had ever offered on a car and almost equal to the $31,979.00 price of the base Corvette. This ZR-1 added Electronic Air Conditioning (RPO C68; $180.00) and Dual Removable Roof Panels (RPO C2L; $915.00) as options. With the $520.00 Destination Charge, it all added up to $60,610.00. That price point redefined "sticker shock" even for Corvette enthusiasts. When introduced in 1990 the ZR-1 was a hit and a price beyond sixty thou was not a problem; in fact there are rumors that with the dealer markup some people wrote six figure checks for the privilege of owning the first ZR-1s. This generous list added up to $4,829.00, so you could say that the ZR-1 option was "only" $22,187.00 if you were looking long and hard to justify ZR-1 ownership. 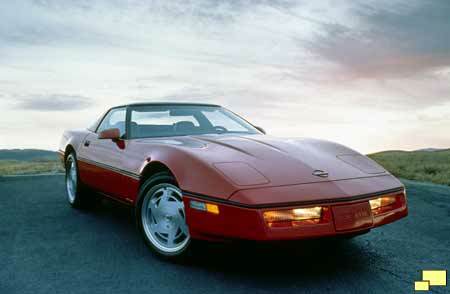 For 1991 to 1993, the price for the ZR-1 option was upped to $31,683.00; in 1994 and 1995 it dropped to $31,258.00. 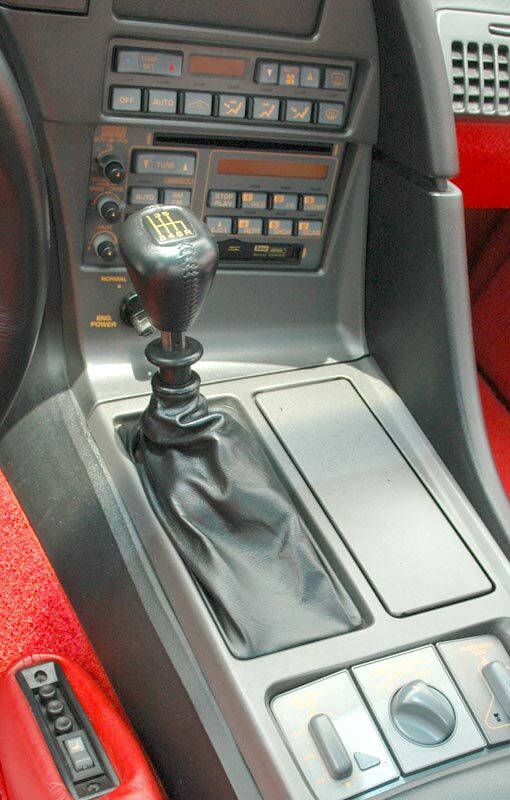 There were no changes except for a power increase to 405 hp (30 hp more) starting in 1993. The revised output, engineered by Stillwater Marine, was due to new three angle valves, opening up of the injector housing and cylinder head ports and improved cylinder breathing. Four bolt mains increased rigidity and allowed higher operating loads. For the first two years, buyers were plentiful - 3,049 units were shipped in 1990, 2,044 in 1991 - but after that it was a different story. There were several reasons for this, but for the most part the supply of people willing and able to pay more than $60,000 for a Corvette dried up. The new convex rear bumper was popular and so it was extended to the L98 engined Corvettes. 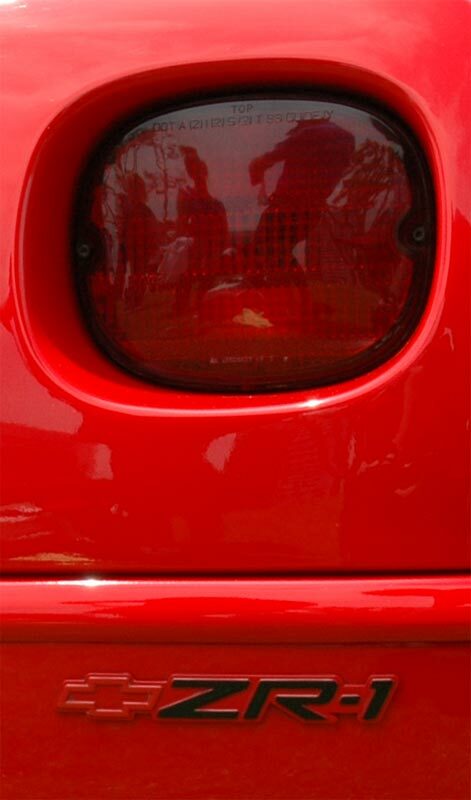 There were still visual differences (the rear body work was still 3 inches wider and the center brake light was roof mounted on the ZR-1) but much of the ZR-1s distinctive styling advantage disappeared. A new generation LT-1 engine, introduced in 1992, featured 300 hp so the simpler single camshaft / two valve per cylinder small block was starting to close the power gap. 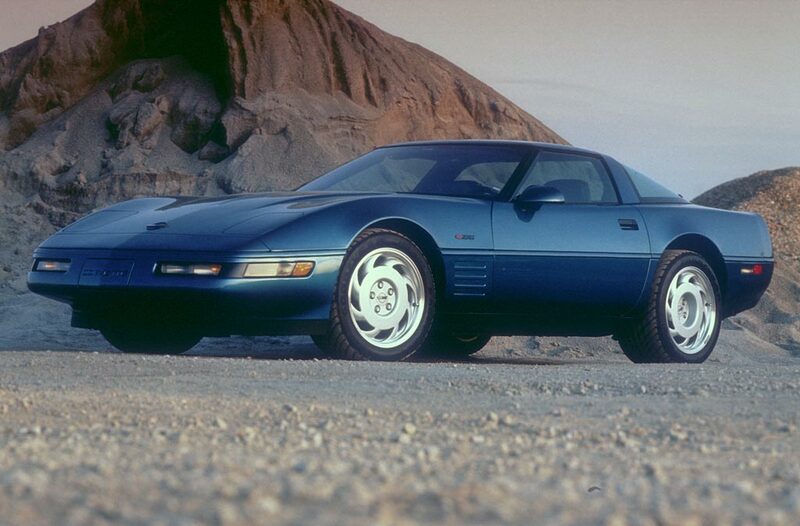 502 ZR-1s were sold in 1992 and 448 for each of the next three years. 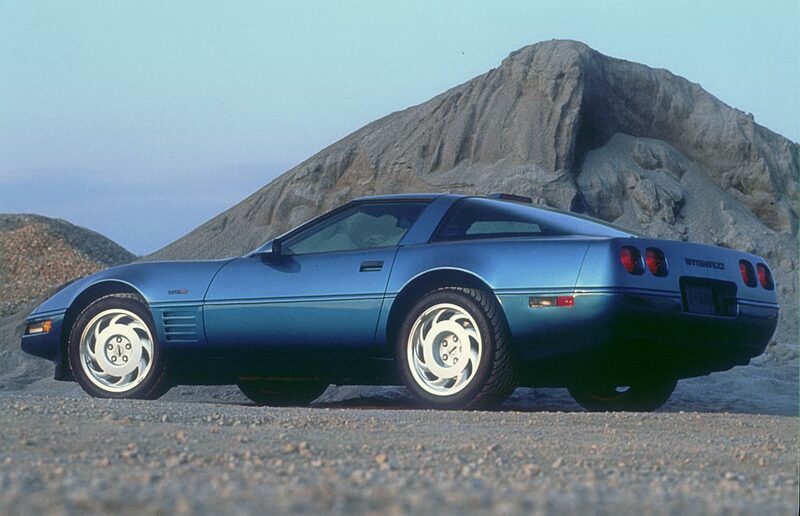 Total ZR-1 production for the six model years was 6,939. 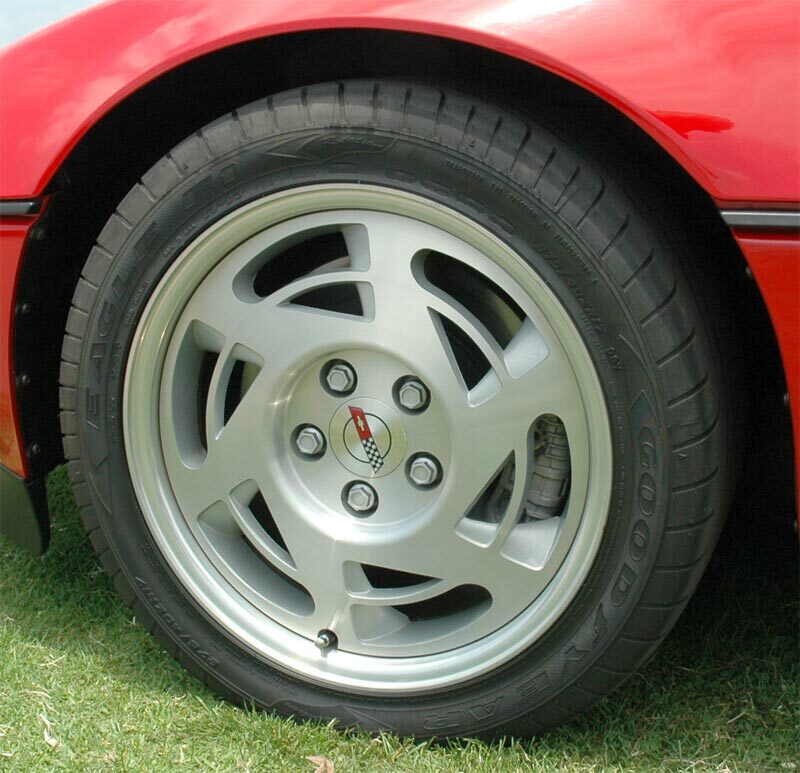 Above and right: The ZR-1 was outfitted with a distinctive wheel for 1994 and 1995, which was the last production year. 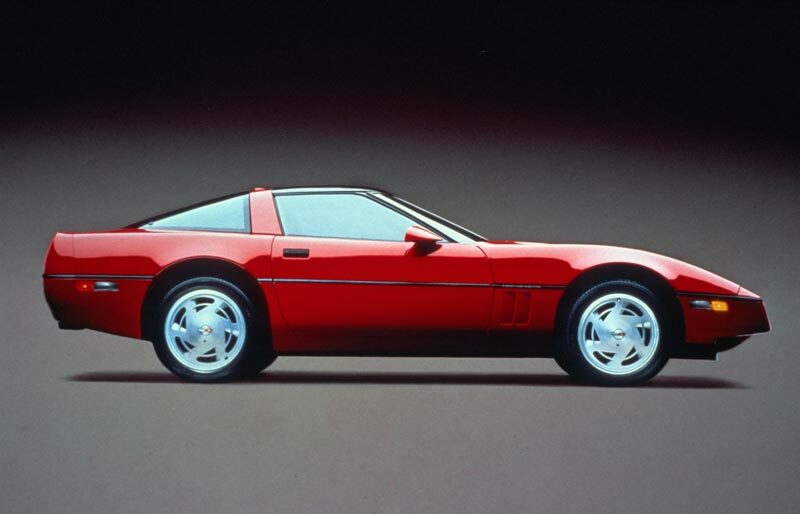 The high price along with improved hp from the conventional small block motor caused the ZR-1, one of the most significant Corvettes, to be dropped from the options list.